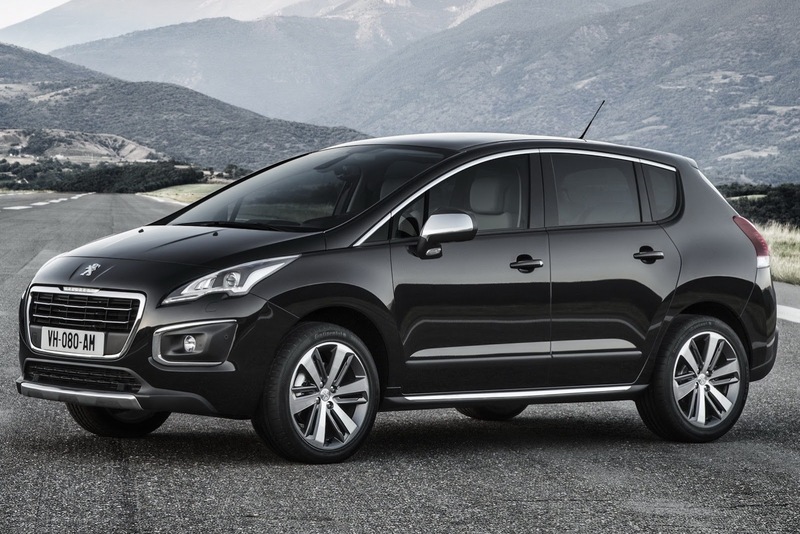 quanto ti piace la Peugeot 3008 Facelift 2013? 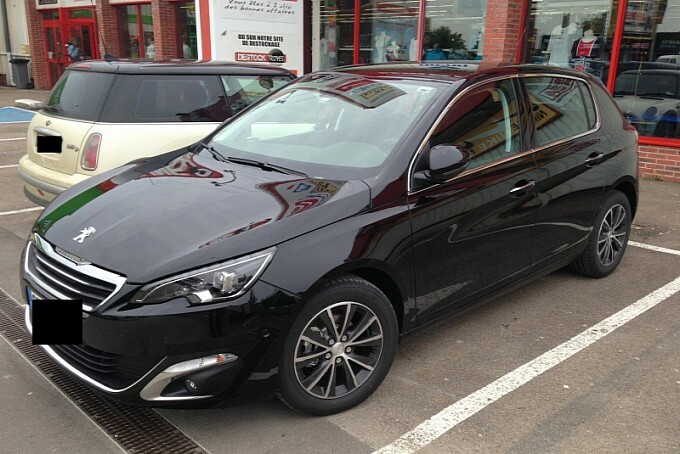 1. quanto ti piace la Peugeot 3008 Facelift 2013? 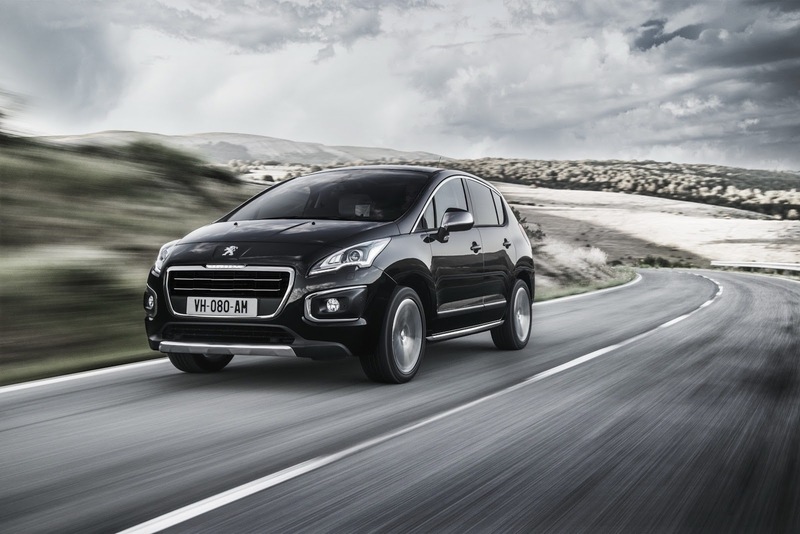 3008 and 3008 HYbrid4 crossover: A new look and a new car mobile experienceThe Peugeot 3008 has exceeded its sales target by 50 percent with 506,000 units sold worldwide. The reason for this success is partly due to the strong personality of the model. The compact segment boundaries border crossover speaks in design questions unconventional customers and combines the best from the world of the SUV, the sedan and vans. 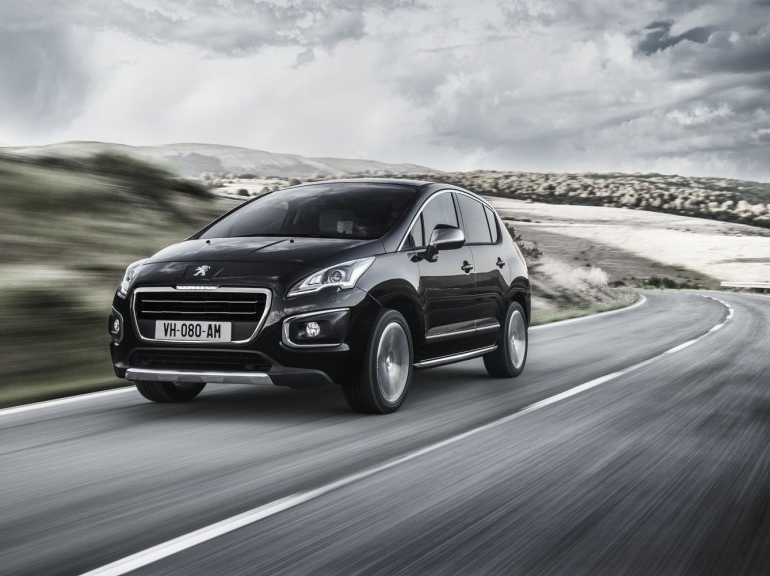 On modern way connects the 3008 Typical PEUGEOT look with the power of a crossover and great driving fun with high functionality . In daily use, it proves to be true all-rounder. Cockpit and technology features enable the driver who comes to enjoy an unparalleled sense of dynamics in this segment. In addition, the crossover could come up with a world premiere of an innovative combination of driving diesel engine and electric motor. Since launch, the HYbrid4 technology enthusiastic customers and holds a market share of about ten percent in the sales of 3008. 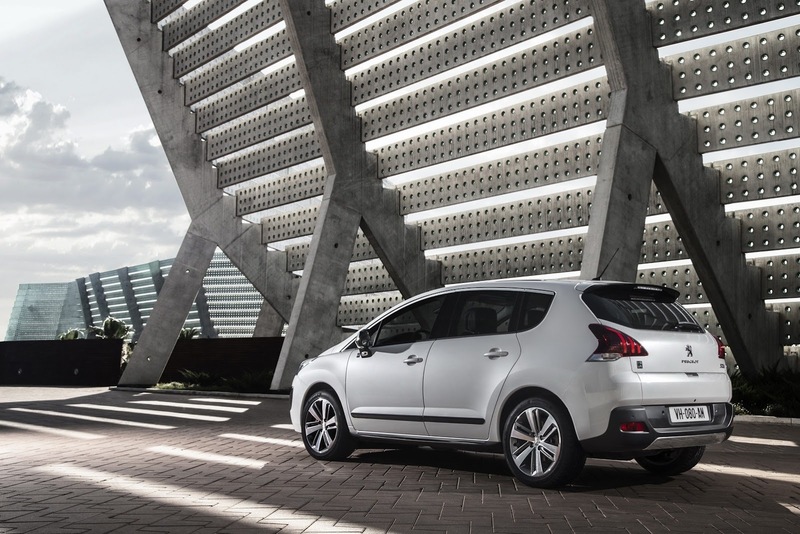 In Europe, six percent of buyers of hybrid vehicles opt for the 3008 HYbrid4. 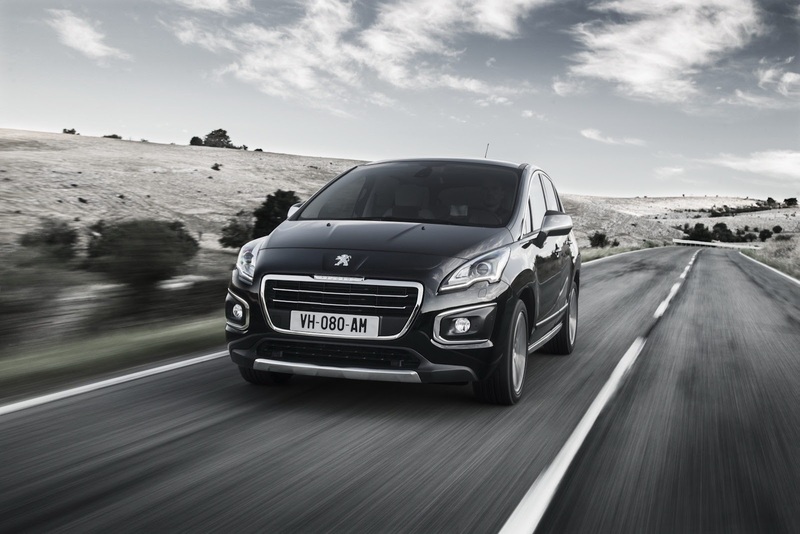 The new 3008 and 3008 HYbrid4 have preserved their model typical strengths and at the same time characterized by a modern design that is accentuated by the new light units and makes the two vehicles both in front and in the rear, by their lights graph clearly recognizable. New technical equipment elements increase their dynamic and user-friendliness. In the head-up display different functions for even easier readability are differentiated in color. 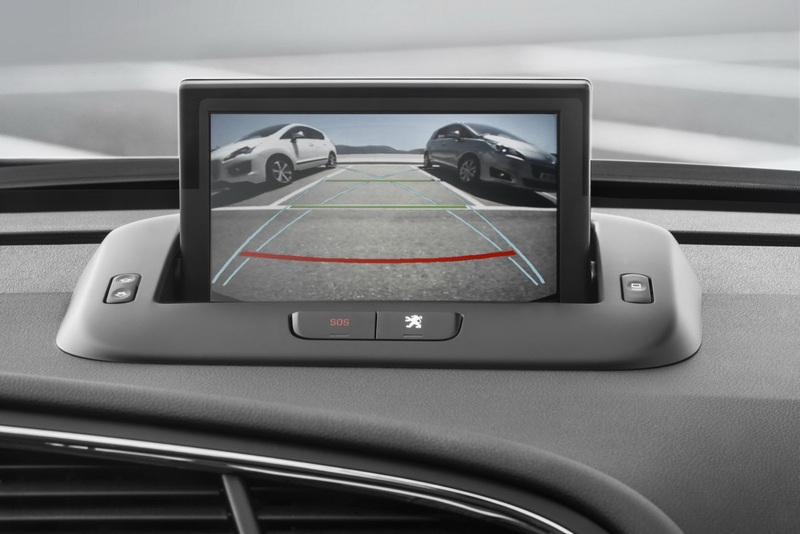 The rear-view camera displays the environment at the rear of the vehicle, making it easier to maneuver. "In 3008, the brand has made ? ?a courageous choice: The overall picture breaks with all conventions and offers distinctive design decisions. The interior, with its inspiring architecture is equally original. HYbrid4 technology exemplifies the innovation of the brand and its leadership in environmental issues and is a great success! " As a compact crossover, the 3008 features from different automotive worlds brought together in a new way: the dynamics of a sedan, the space of an MPV and the high body of an SUV. Its compact dimensions (4,365 m long, 1,837 m wide) are highlighted by a distinctive, refined style. Based on the stylistic elements of the brand brings the 3008's personality and its properties determined expression: high quality and modern design, sturdiness, comfort in every position , fun, adaptability. 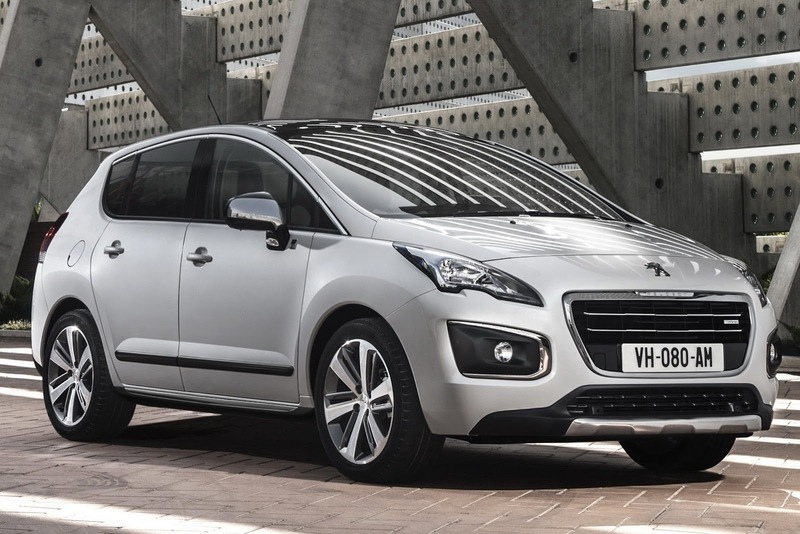 "The two new models 3008 and 3008 HYbrid4 have a strong character coupled with great elegance. We have the smallest detail, sharpened the lowest contrast. The project is characterized by absolute precision. " From the first contact with the model, the security protection radiating elements and the precise workmanship give the impression of robustness. The body is surrounded by textured wheel arches, fender edges with expressive, strong three-dimensional molded underride protection elements made ? ?of stainless steel and the sill. The play of light on the latter illustrates the crossover nature of the model. 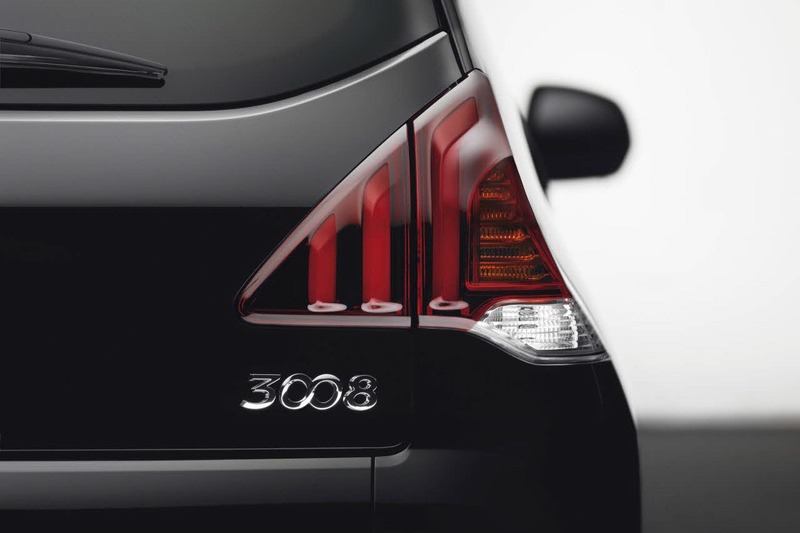 The rims of the 3008 combine lightness and robustness. Your spokes are highlighted by elegant diamond gloss accents. In the 16 - and 17-inch version they are running in shiny gray anthracene, in the 18-inch version in black. The completely redesigned front end has been accentuated by cleverly set contrasts. The grille and the trim for the fog lamps act as a single, losgelöstes chrome part of the body. 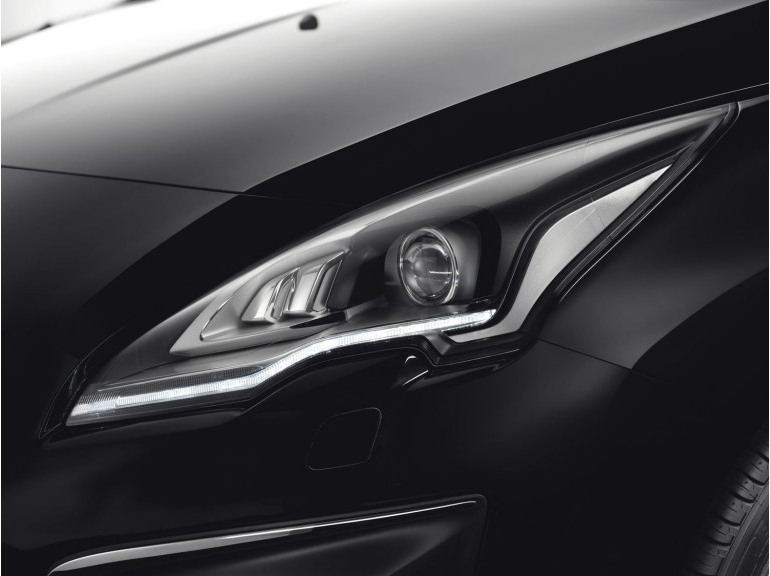 The two narrow chrome strips laced air intake reinforces the impression of natural presence of 3008 and also suggests stability. 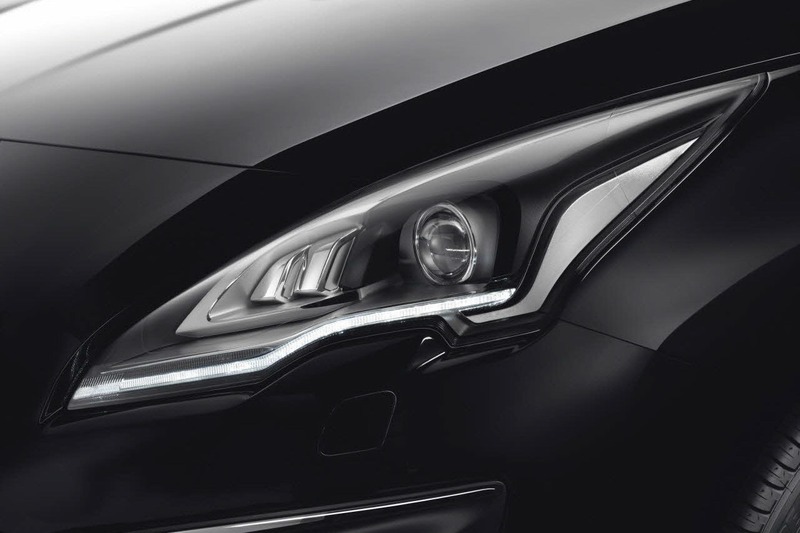 The trim for the fog lights are inspired by the shape of the recent studies of the brand. The spatially configured support plate they are better protected, the new high-tech headlamps with their intense optical expression are also fitted perfectly into the body. Particular attention was paid to them on the subtle contrasts between the materials. They are used in a black, framed by a chrome bezel part. This seems to lie on the turn signals and daytime running lights, which are designed as flat LED light guide. A worked out on the side arch in matt chrome combines these elements. 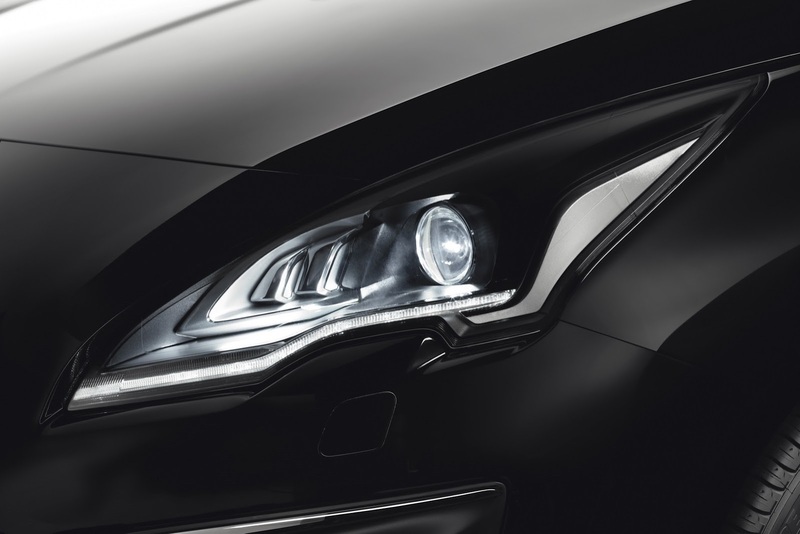 The premium equipment for the headlights still have a more relaxed driving xenon lens with automatic headlamp leveling and cornering lights. The lion stands in the center of the high-quality acting front. The body line runs starting from the trough of the emblem on the hood, which is followed by the windshield and roof of a piece. The sweeping curve of the roof brings the big space for expression. The chrome accents on the upper window moldings, door sills and exterior mirror housings illustrate the high quality of the model. Together with the brand name emblazoned the lion on the tailgate of the 3008. 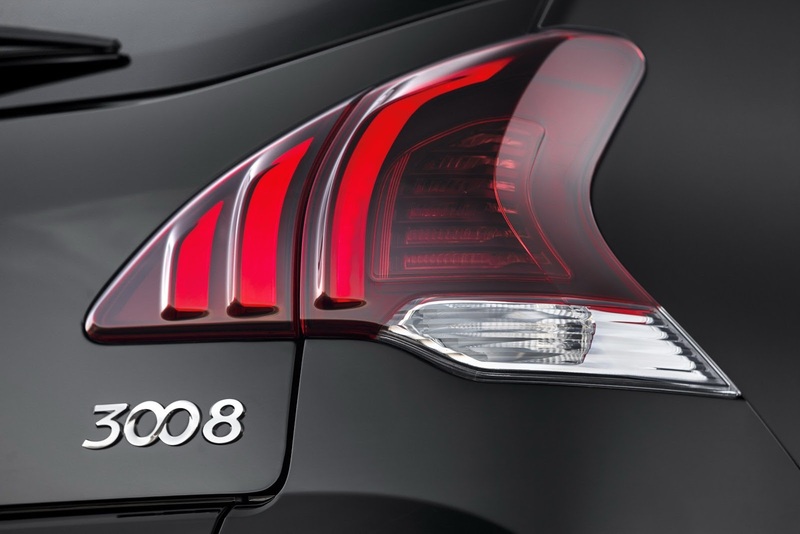 The new rear lights with the 3008 dark screen lights give the graphics a completely new character. The three reminiscent of lion claws, seemingly floating LED light segments feature a striking design and stand out in relief from the rear light unit from. 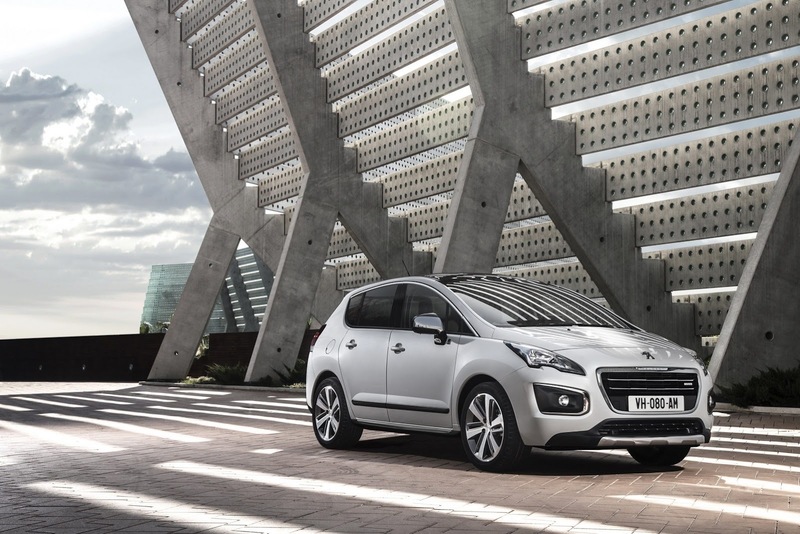 For individualization of 3008, no fewer than nine exterior colors to choose from. These include the new ruby ? ?red color and a three-layer coating in pearl white. 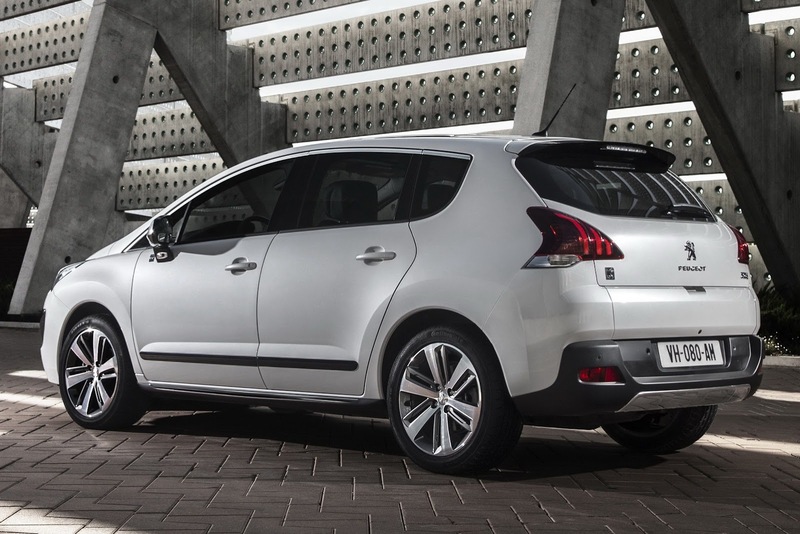 The 3008 HYbrid4 is available in six colors, such as in Shark Grey. 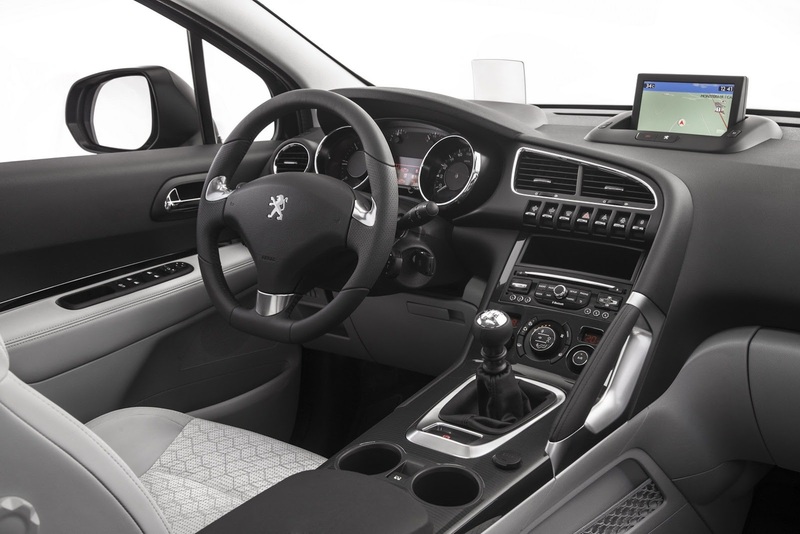 A look inside the 3008 surprised and intrigued. The panorama roof lets in plenty of light, so that the cockpit is set with its perfect ergonomics in the limelight. The driving position is comparable with that of a sedan and offers the driver a unique crossover for this segment driving experience. "The driving experience is in the development of our vehicles in the center. During 3008 a new interior architecture was introduced, which was a key to the success of compact crossovers and has shaped a approach we applied to all our new projects. " In view of the driver, the vehicle speed (current pace, setting the cruise control with speed limiter) and the distance to the vehicle ahead displayed on a retractable polycarbonate disk on the dashboard. For a quick overview of the individual information is now assigned colors: white for the current speed, orange for speed, green for the cruise control and red for the distance warning. , the retractable screen beside it serves as a visual interface for the navigation, on-board computer, the parking aid front and rear and the rear view camera. Various parameters of the head-up display and the distance Warners are set via toggle switches that are easy and effortless to use. , the driving-relevant controls are grouped together on the way to the rear reaching the center console. 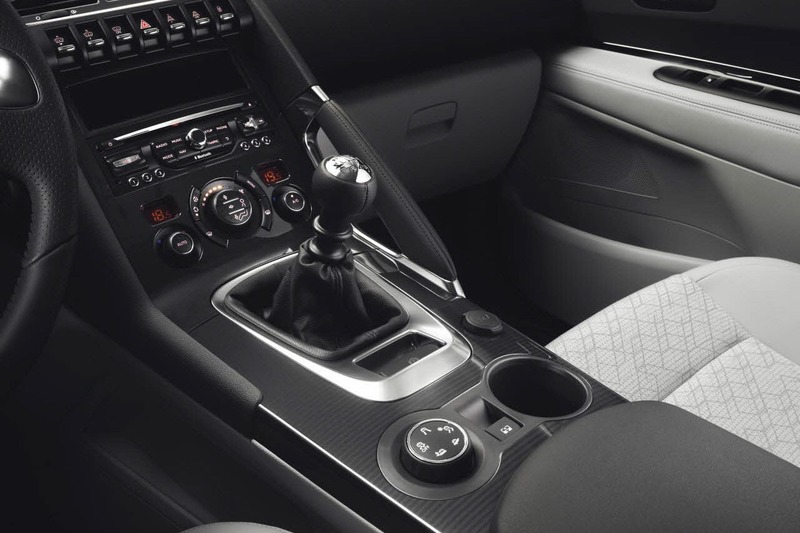 Placed the forearm comfortably on the armrest, the driver can react in an instant, as he has all the necessary controls in immediate access: shift lever, electronic parking brake and electronic traction aid Grip Control . The center console has a special laser-engraving that was created with a digitally controlled device. With the laser beam in this case, a curve is created by the pigments are located in the top coat layer has no effect on the substrate. The Trim Active waiting with a new Grikol mentioned terms of structural tissue, the iridescent matte and glossy depending on the light between. , the equipment level Allure , however, offers an elegant and technically appealing reference that combines different materials together. The center portion of the seat and backrest is provided with the textile Grikol, whereas the seat sides, the upper back portion and the head rest with leatherette (TEP) are related. The armrests in the door trims are also related with it. This equipment is offered in three colors: Guerande, Mistral and Ikoïa. The latter is the 3008 HYbrid4 reserved. Moreover, a leather equipment. In a full leather interior and the door panels and the upper part of the dashboard is covered in leather. Included in this package is also an electrically adjustable seat for the driver. The inmates feel in 3008 thanks to an excellent acoustics and a generous window area, which makes for a light and airy, all seats equally well on board. With the panoramic glass roof, the window area increases to 5 m2. It is tinted to limit the heat and light incidence and also has an electric roller blind. At night, the front footwell lighting and the ambience light in LED technology in roof console for the necessary brightness. With the afterglow (Follow me home) accompanied the light the driver of the 3008 even outside the vehicle: Here, the lights remain 30 seconds after you leave the car, and so illuminate the path to the front door. Another supportive feature is welcome light that is active when the doors are unlocked. The time interval can be set by the user. 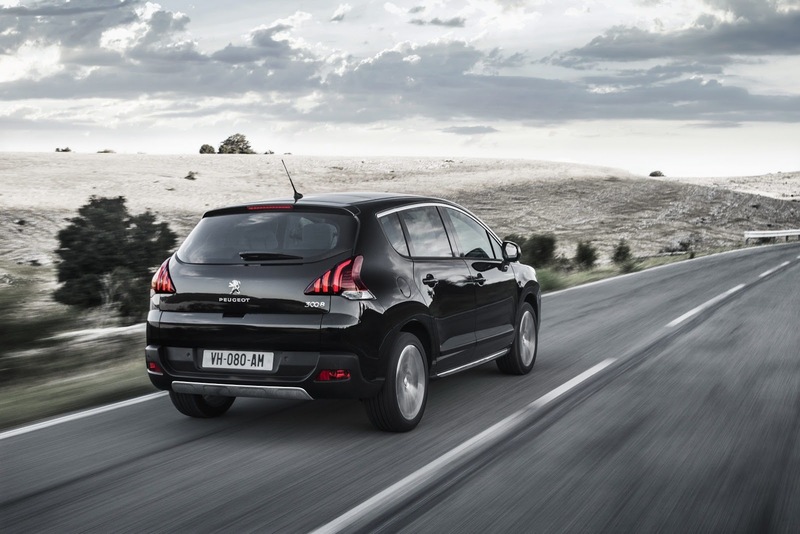 "The 3008 has an exceptional status in the market. This explains its success. Customers like this model because of its distinctive character and diversity. On board each occupant has the best seat: intuitive cockpit design, modularity, comfort, acoustics, etc. " The ergonomically designed cockpit of 3008 the driver takes a ajar on the sedan dynamic seating position. This is a special feature in this segment and is made ? ?possible by a steering column with three universal joints, which allows for optimal wheel position. 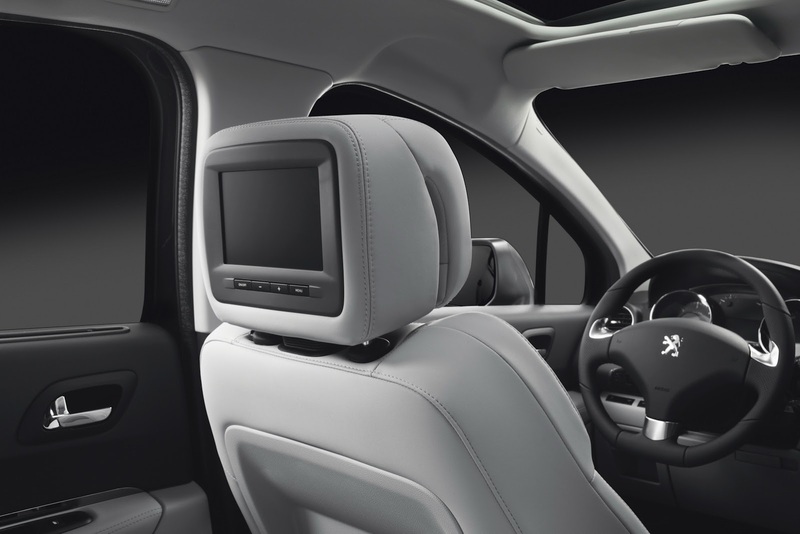 The front passenger enjoys the trips by 3008, in particular due to its elevated seating position, including the handle, the center console and instrument panel together. The rear passengers can look forward to generous legroom thanks to the space-saving seat shells of the front seats. For all seating so-called multi-zone foam is used. Thus, the backs and seats offer superior comfort, while the side areas are designed more for firmer grip. 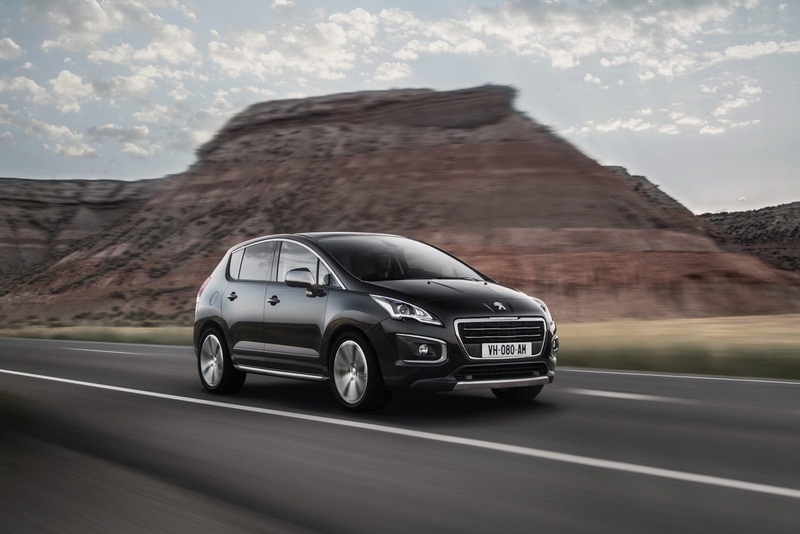 The Peugeot 3008 offers a variety of safety-enhancing features such as cruise control with speed limiter, the distance alert ( Distance Alert , calculated), including a 24-GHz radar in the front of the vehicle permanently the distance to the vehicle in seconds. Once this value is below the value defined by the driver, a visual warning will appear in the Head-up display. In the city's parking spaces Wizard informs the driver whether a parking space is big enough. The parking maneuvers designed to be easy with two extra components. Parking assistance front and rear shows the distance between the vehicle and an obstacle to. A graphical representation on the screen and an audible signal whose period varies depending on distance, show the driver the remaining distance to. A new feature makes it easier to maneuver: The rear view camera displays the area behind the vehicle on the screen. The required space for the vehicle there is highlighted with color lines. After parking, the electric parking brake when the ignition closes automatically. A problem associated with the ESP control device, the braking force in dependence on the incline. It is during the entire parking time to "Stand-by", in order to adapt the braking force as required. 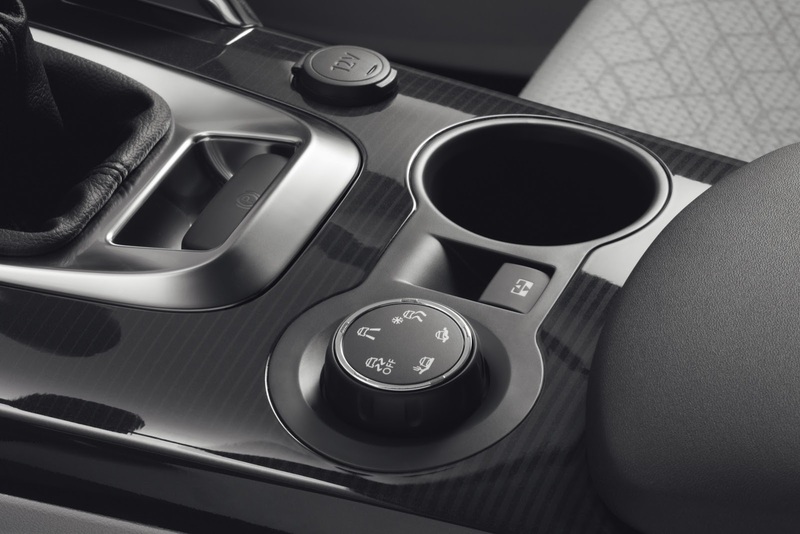 During a stop without turning off the ignition, the electric parking brake can also be activated manually via the arranged within easy reach on the center console switch. During acceleration the electric parking brake is released automatically upon actuation of the accelerator pedal. 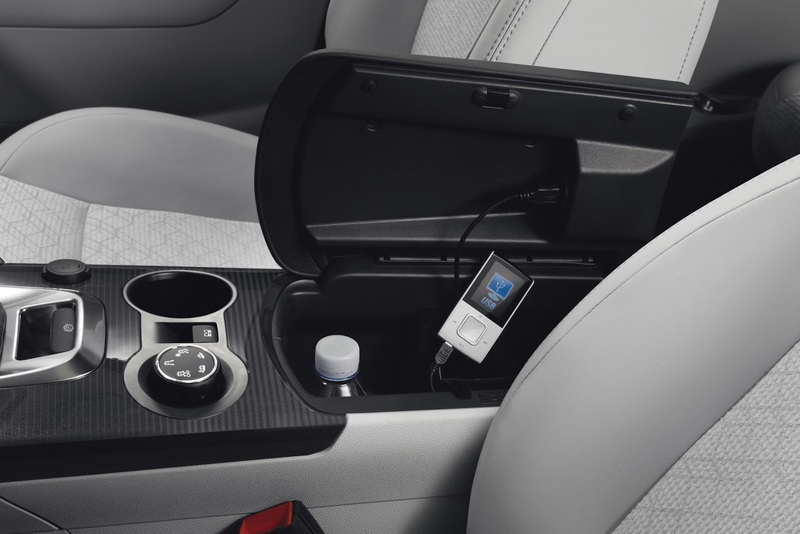 The electric parking brake offers the advantage of a compact control unit, which can accommodate a large storage compartment. 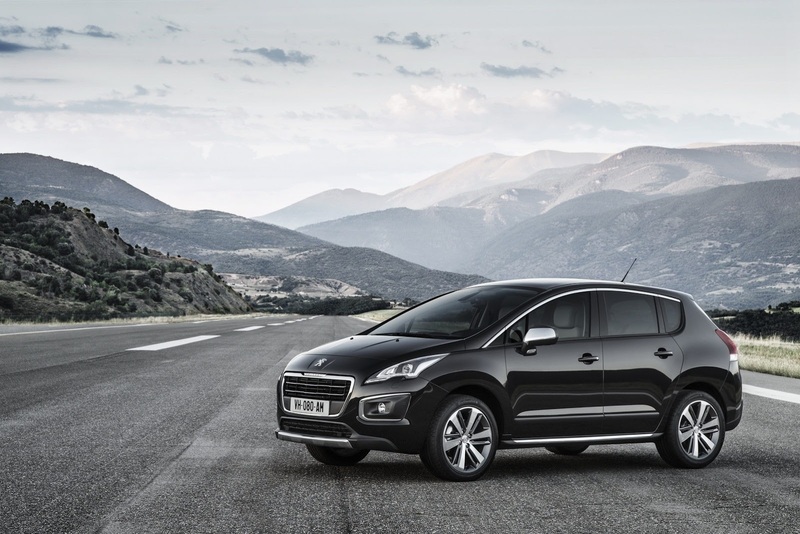 The Peugeot 3008 is standard with Hill Start Assist Hill Assist feature, which means both convenience and security. If the vehicle is on a slope and the driver releases the brake pedal, the system maintains the brake pressure for two seconds still upright. The driver does not have to fear that his vehicle from rolling until it hits. This is helpful for all start-up operations on the mountain, both forward and backward, for example when parking. storage space for all seats in the sense of high suitability for everyday use, the cabin is equipped with numerous storage compartments with a total of nearly 50 liters. In the center armrest there is a permanently ventilated 13.5 liters large compartment. This can be, for example, a 1.5-liter bottle accommodate. The inmates front can look forward to door shelves with a total of seven liters, a lockable 3.7-liter compartment under the steering wheel, glove compartment with a volume of 4.1 liters and a storage net on the right side of the center console. located in the rear in front of the rear seat bottom flap with pockets, the left having a volume of 3.3 liters and 3.8 liters of the right, in the door shelves of 2.5 liters volume and storage nets at the back of the front seats. The two-part tailgate, the bottom section can be loaded with up to 200 kg, has a generous access to modular and carefully crafted trunk. The Multi-Flex design allows it thanks to the three-way adjustable boot floor and folding rear seats, the 3008 adjusted to the needs. 's modular boot floor is made ? ?of composite, therefore weighs only 3.5 lbs and is therefore easy to handle. He also has four lashing eyes for a trunk network. From the modularity of the Easy-flat rear seats can be convinced with a handle: More than controls in the trunk or in the upper back portion to allow the seats sink in no time and fold the backrest. The front passenger seat can also be folded completely flat so that objects long items can be loaded or stored thereon. The storage volume of 512 liters can be so (432 liters VDA) under the parcel shelf to 1,604 liters (1,241 liters VDA), including the storage compartments in the two sides of the trunk, extended. By moving the front passenger seat, the through-loading length can be increased to 2.62 meters, the idea of practicality is evident in every detail. 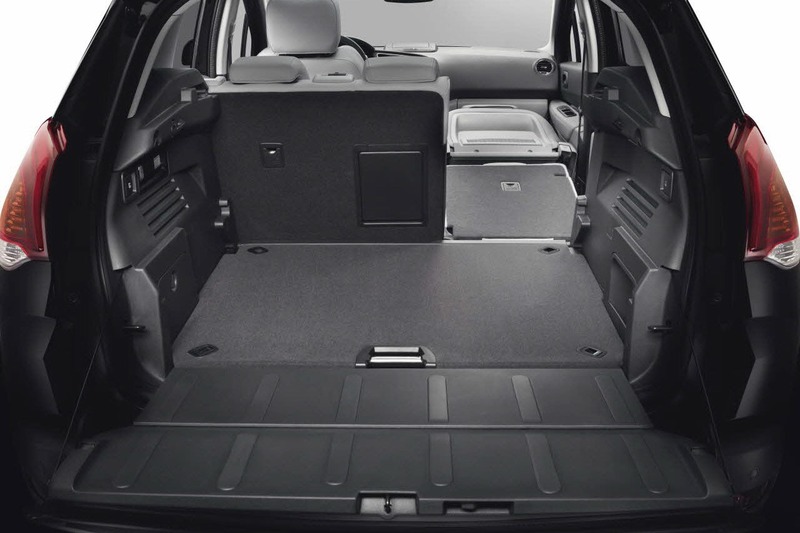 The stable luggage compartment cover follows the movement of the tailgate, giving access to the free storage space. The cover can be removed, folded and stowed under the boot floor moving. The left boot lining a removable flashlight is housed, which is automatically loaded into its holder and then provides 45 minutes lighting time. For the HYbrid4 technology, a 2.0-liter HDi diesel engine with a diesel particulate emission filter (163 hp) and an electric motor with 27 kW (37 hp) and 120 kW were first in the world combined. This technology provides a revolutionary fuel consumption and CO2 emissions performance, but also a power transmission to all four wheels. The engine drives the front axle, the rear axle of the electric motor. The resulting total output amounts to 147 kW (200 hp) and a maximum torque of 300 Nm at the front and 200 Nm at the rear axle. Performance is top notch, but go not to the detriment of the environment, since the consumption according to EU test cycle of 3.4 liters per 100 kilometers (88 grams of CO2 per kilometer) low. Auto Mode : The electronics automatically control the system and sets both engines optimally. This mode uses the full dynamic potential of the full-hybrid diesel: Front Wheel Drive by diesel engine driving all four wheels or rear-wheel drive electric. In this mode, the lowest fuel consumption and CO2 emissions can be achieved. ZEV mode (Zero Emission Vehicle) for an extended electric operation. Since in this case no emissions or noise disturbance, the vehicle for environmental "noise killer" is. The driver can also activate this mode itself, for instance to enjoy the silent city driving or for the convenience of gliding in silence. In pure electric mode for insufficient battery charge starts the engine, and it will automatically switch to the auto mode. In 4WD mode, both motors are working to improve traction at the same time whenever possible. The torque distribution between front and rear axles depending on Liability and pace, at low speed up to 40 percent of the drive force can be sent to the rear axle. The electronic control units regulate the flow of power to the rear wheels facing the energy consumption with high precision. The Sport mode allows quicker shifts at higher engine speeds when in Auto mode. 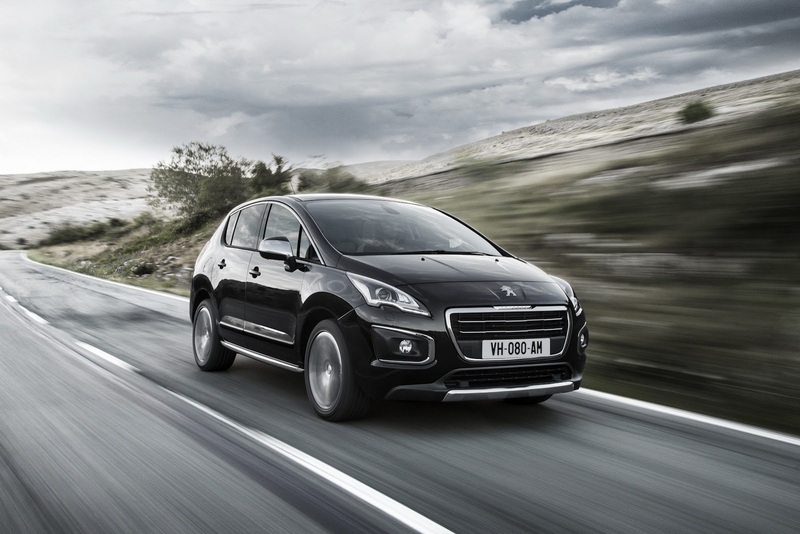 He releases the full dynamic potential of the 3008 HYbrid4 for maximum performance. In this mode, the notion of controlled power achieves its full significance: the interaction of the combustion engine and electric motor increases the available torque (boost), which is distributed to the four drive wheels transferred to the road. This is the joy of sporty drivers synonymous with stability and more driving pleasure. In the variant of the Peugeot 3008 HYbrid4 has specific lettering on the front doors, on the grille and the tailgate. Shiny black accents can be found throughout the vehicle: on the bars of the radiator grille, the rear spoiler blade and the side moldings. The 17-inch wheels in diamond optics and laser etched with lettering HYbrid4 grab this color. Thanks to an ingenious aerodynamics (Cd value of 0.296), low weight (from 1399 kg) and a high-quality chassis inspires the crossover 3008 driver and passengers alike. For weight optimization for PEUGEOT 3008 high and ultra high strength steel plates (12.5 percent of vehicle weight), aluminum for the bonnet and composite materials used for the front fenders. means that the driver will benefit from an extremely accurate driving behavior and a remarkable road holding, equivalent to a one-time in this vehicle class dynamics. Passengers are particularly appreciate the increased comfort by reducing body roll. These properties are due to the suspension arranged by the upside-down principle McPherson front axle with decoupled stabilizer. This architecture provides a highly precise wheel guidance and filters out bumps in the road reliably. The dual-link rear suspension with resiliently deformable crossmember and integrated stabilizer's small in size and high stiffness. The wide track front and rear axle ensures high driving stability. This technology was developed with the aim of maximum roll stabilization in cooperation with KYBSE ®. Through this passive hydraulic system the driving dynamics could be improved with a high comfort level again. The two rear shock absorbers are interconnected by a central module. This module consists of a separator piston and a compensating chamber and is subjected to 20 bars pressure. On bends or when swerving maneuvers in the Wankphase ie, the lateral tilt hydraulic fluid between the two shocks is transmitted to minimize. Comfort and active safety are thereby increased. On the straights, the potential vertical excitation phase, both shock absorbers are equally loaded. The separating piston moves due to the generated in the shock absorbers pressure, which provides optimal cushioning comfort for the occupants is ensured. , the dynamic roll control Dynamic Roll Control is for the 2.0-liter HDi engine with a diesel particulate emission filter in conjunction with both the switching as well as with the automatic transmission is. The diesel range starts with the 1.6 liter e-HDi FAP, which emits only 110 grams of CO2 per kilometer (consumption 4.2 liters per 100 kilometers). For diesel, there are three six-speed transmissions are available: a manual shift, an automatic and an automatic transmission with Anfahrkriechfunktion (creep control). The petrol engines are prepared as wide and begins with the 1.6 liter VTi (155 grams of CO2 per kilometer; 6.7 liters per 100 kilometers). The transmission offered for the three petrol engines are a five-speed and six-speed manual and a six-speed automatic transmission. This patented by PSA group system thanks to a form adapted to poor Liability drive strategy will expand the application range of the 3008. Grip Control accesses an on-board electronic systems back and comes in conjunction with Michelin tires from Latitude Tour HP Mud & Snow in size 215/60 R16 used. A versatile and flexible system adapts its interventions to the front wheels to the terrain on. The driver always retains the upper hand here, however. He always has the choice to make the system work in standard mode or activate a mode using the jog dial on the center console itself. The choices are: snow, offroad, sand, ESP off. Grip Control is now also available in conjunction with the 1.6-liter THP engine with 155 horsepower and six-speed automatic and complements the existing portfolio that models 1, 6 liter THP 155 bhp six-speed manual transmission, 1.6 liter THP 163 bhp six-speed automatic, 1.6 l e-HDi 115 hp EGS6, 1.6 l HDi 115 bhp six-speed manual transmission and 2.0 liter HDi 150 bhp six-speed includes manual transmission. Ma... dico io: visto che già hai 'sto dentino inutile (e bruttino, a mio gusto) sul faro, perchè non approfittarne almeno per metterci il lavafaro? migliora anche secondo me, peugeot sta facendo un buon lavoro rinfrescando la linea di modelli assolutamente validi come 3008 e 5008.
non impazzisco per la zona fendinebbia ma nel complesso è un buon lavoro. Gran lavoro sottotraccia per migliorare la gamma. Brutta era e brutta rimane, sul posteriore poi era davvero difficile intervenire. Ma nel complesso è indubbio che sia migliorata e, IMHO, non poco. Una 308 in shock anafilattico. Vista l'età, parlerei della figlia "ciofa" di Bravo. 308 è solo il nuovo incubo francese. A differenza dell'italiana, però, la casa madre ne cura l'età con sapienti tocchi che la rendono meno brutta.